Yesterday I went down to Morgan Hill (only half an hour from here) to work full time as a scribe (NOT as a score table person, how weird is that?!). 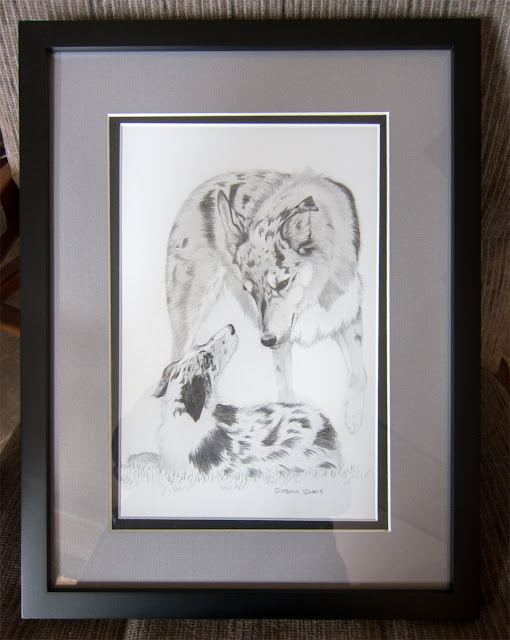 One of my [many] agility friends is an artist who creates pet portraits in pencil, pastels, and colored pencil and sells them at local trials. 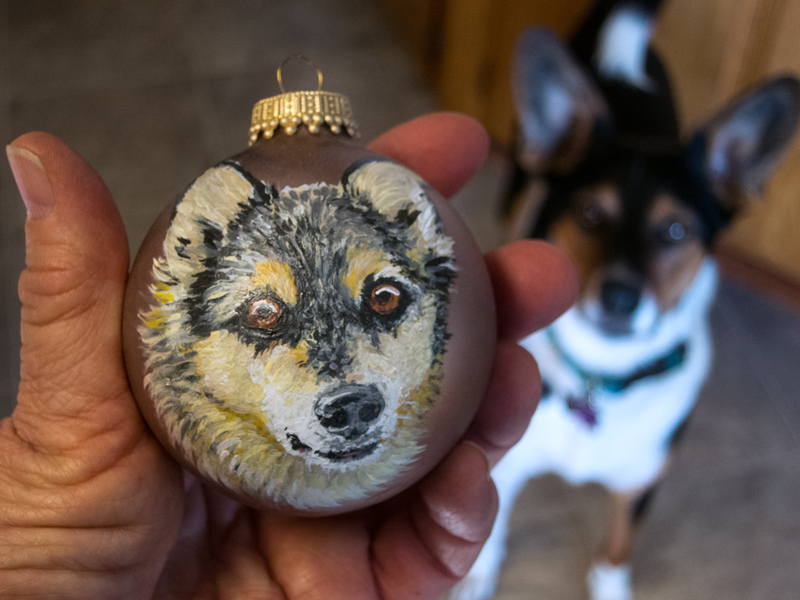 A couple of people suggested that I go check out her Christmas ornaments and drawings. I did. I looked at the drawings. I didn't know that she was working on that. 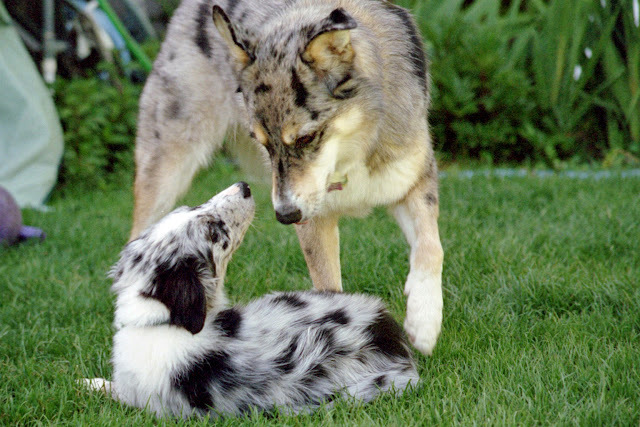 She did it from one of my favorite photos of Boost and Tika from the first month that Boost came to live here. And she was clever enough to fill in Tika's back where the actual photo cuts it off! And guess whom I also found in the ornaments? Apparently Tracey does some paints, as well. Contact Tracey at wildkelpies (@) gmail.com. Oh, I would've cried, too! How sweet! Tracey's work is beautiful. She does a great job. I'm grateful that she did one of my girls. How beautiful! I'd definitely have cried. She did an amazing job. Particularly amazing in that the drawing is an improvement over the original! Just beautiful!!! That was so nice! A good surprise to have.